Skip the store—this recipe's even better. 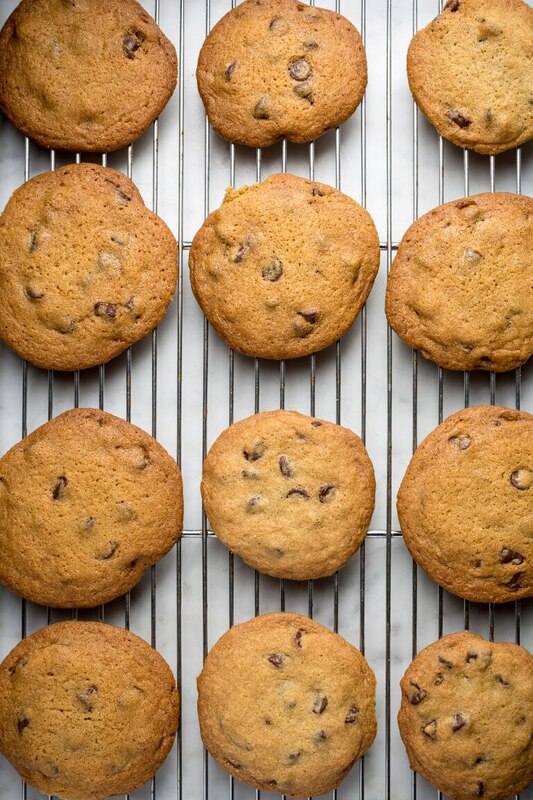 Crispy, thin chocolate chip cookies are the underdog of the cookie world. 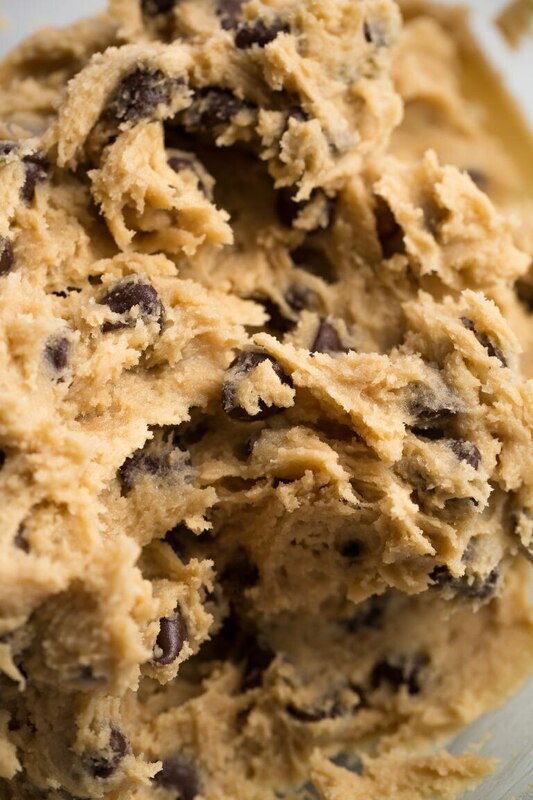 It's easy to find people who love chewy and gooey treats, but crunchy ones immediately make you think of scorched cookies some frenzied baker agonizingly scraped off a baking sheet after hearing their fire alarm go off. 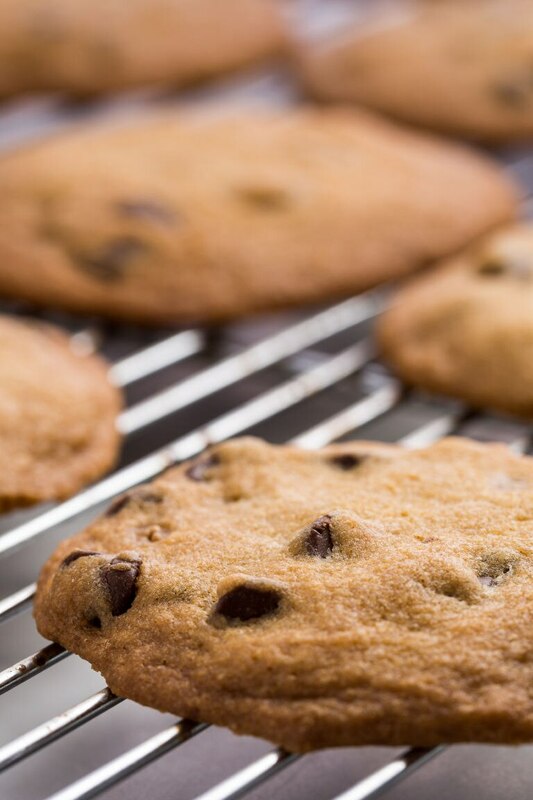 Tate's Bake Shop has single-handedly reclaimed crunchy cookies though, proving that a wafer-thin chocolate chip cookie can be every bit as delicious as the undercooked, doughy varieties. 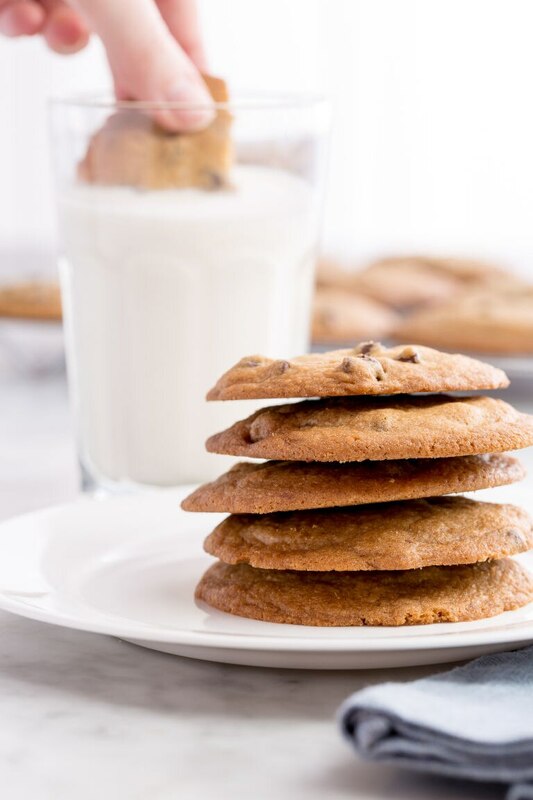 The Southampton, NY-based company's Chocolate Chip cookies are just as buttery, with a little salt, so you don't feel a full-on sugar overload after eating one (or five). That salty-sweet, crisp-but-not-burned flavor made us wonder: How can we recreate them at home? We ultimately chose salted butter, which infuses the whole cookie with a subtle saltiness. 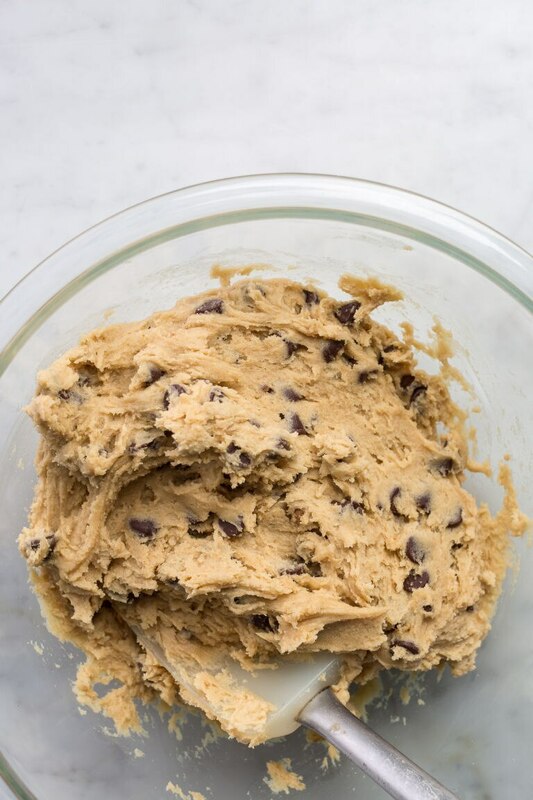 It also makes the dough completely irresistible—even though it has eggs in it, and we know that you really shouldn't eat raw cookie dough, we found ourselves sneaking off with spoonfuls. Over and over again. The longer these cookies bake, the more caramel-y flavor the cookie itself will have (and the crispier the cookie, of course). If you're serving them to a crunch-averse crowd, you could reduce the cook time to 11-12 minutes, instead of the recommended 15. But really, it's worth slipping them a crispy cookie. 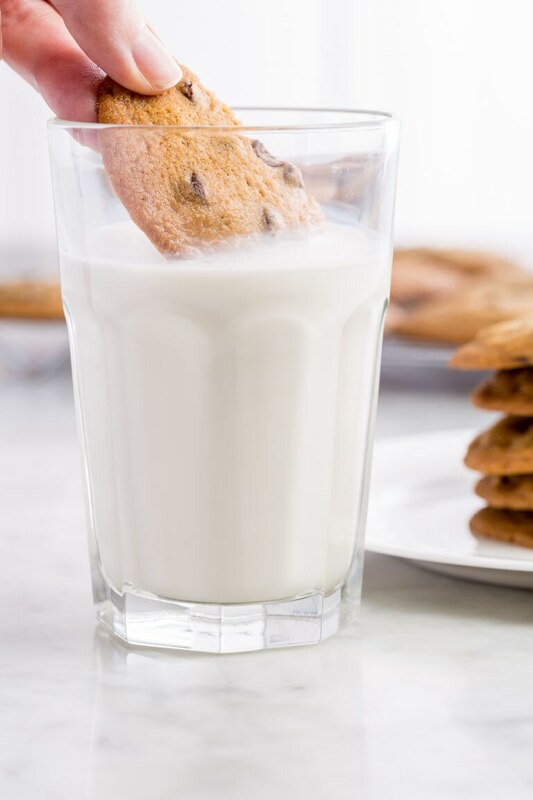 You might just change their entire outlook on sweets—especially if you serve it with a glass of milk. There's no better way to get your dunk on.